Killer Characters: Cookies Are Health Food, Right? Cookies Are Health Food, Right? At six a.m., Olivia Greyson unlocked the door of the Gingerbread House and stepped into a garden. Or at least it smelled like a garden. She’d expected the usual mouth-watering aroma of lemon sugar cookies. Instead, a flowery fragrance permeated the store’s sales floor. Lavender? What is Maddie up to this time? “Or maybe these should never see the light of day?” Maddie grinned and tossed a meringue in her mouth. Preheat oven to 250º F. Add egg whites and cream of tartar to mixer bowl and beat at high speed until stiff. Continue beating at high speed and gradually add 6 tablespoons of superfine sugar, 1 teaspoon at a time. Beat until meringue is shiny and the peaks hold their shape. 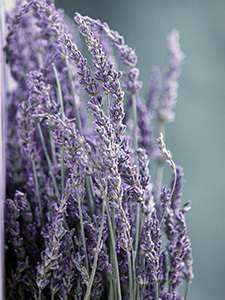 Fold in remaining two tablespoons of sugar and lavender flowers. Line a baking sheet with parchment. Drop spoonfuls of meringue onto the parchment. Makes about 15 meringues. Bake at 250º F for 50 minutes. Use a thin spatula to remove meringues from the parchment. **Be sure the flowers are pesticide free! Thank you for the recipe for I have never eaten Lavender Meringues cookies. Sounds like an adventure of the taste buds! My mom used to make mint meringues at the holidays. This looks delicious! Thankfully my mother never baked at all. We were lucky that she cooked dinner for us. That's how I learned to cook... self defense. I refused to starve! LOL My girls (including the DIL's) are all fairly good bakers. Each one has their favorite cakes or cookies they specialize in. I'll pinterest this recipe and let my youngest know to check it out. I love the series and am sure I'll love the meringue cookies. .